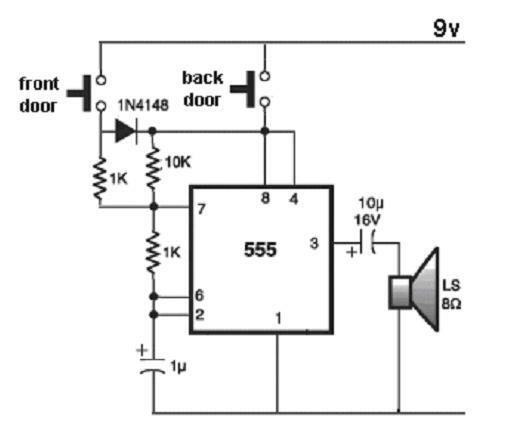 Here is simple project of doorbell for front door and back door circuit diagram. This circuit produces two different sounds, one for the front door and one for the back door. The circuit takes NO CURRENT when not producing a sound and a 9v battery will last for many months.